Moon photography is a simple, yet challenging process. Moon and beauty need not be described by me. Poets world over have done it plenty! This post is about some tips about photography of moon or lunar eclipses. A phenomenon called Super Blood Moon happening tomorrow, 31st January 2018 triggered the idea of writing this. In other words, one would to see the large moon (around 15% bigger), coloured moon and transitions of total lunar eclipse. 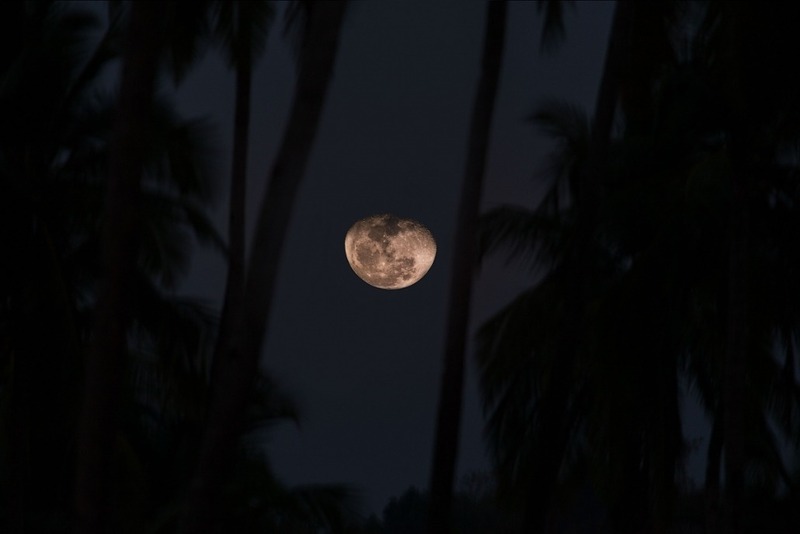 Here are some tips and tricks about moon photography. Use a remote release cable or remote trigger to avoid shake. If you don’t have one, make sure to use timer on your camera. Turn ON the Mirror Lock feature of your camera. Understand the moon trajectory. You don’t want to find yourself at odd position vis-a-vis the frame background as the moon climbs up. Use manual focus. Better focus can be obtained by using the live view screen with zoom feature. Even if you choose to use the autofocus feature, once done, shift to manual focus. After that DON’T CHANGE THE FOCUS. While the moon is bright, focusing is not a problem. But as the eclipse progresses, light gets increasingly dimmer and focusing starts getting more difficult. 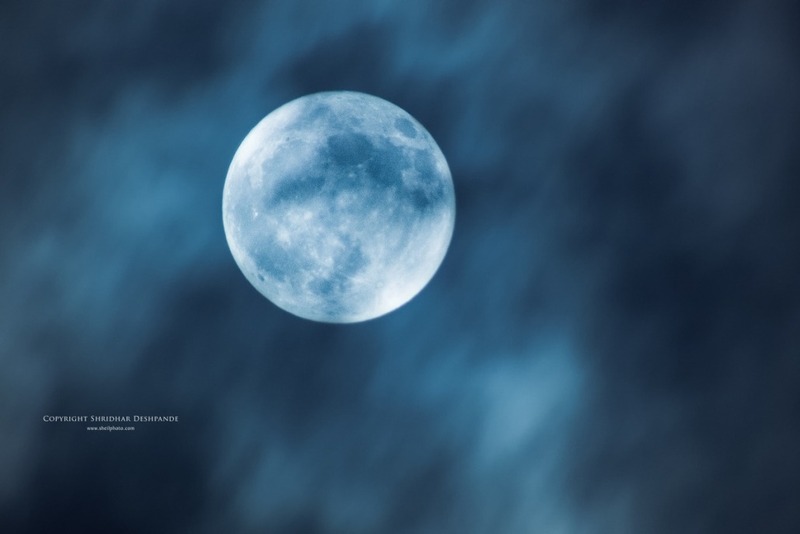 Aperture Priority makes an excellent choice for moon photography. Use Spot Metering on the bright part of the moon. Set Ev to little positive side. This will ensure that the bright part of the moon is not very dull. Use Auto-Exposure Bracketing. Especially when the light starts to dim during the eclipse. As the eclipse starts, you will need to open the aperture by observing the drop in the ambient light. DON’T use the widest aperture setting during eclipse time. At end parameters, lenses do not deliver the sharpest images. Keep f-stop 1.5 to 2 stops below the widest aperture. Moon photographs are never tack sharp, regardless of the equipment. This is because of massive distance and the layer of air in between. Don’t go overboard with ISO. Low light and high ISO is the perfect recipe for extremely noisy photographs! Use a telephoto lens. Anything below 300mm is going to make the moon appear as a small white spot in the frame. Double exposing for the moon and the background and then compositing can give you awesome results. Enjoy clicking the Super Blood moon! Sheil’s Photography is committed to imparting high quality knowledge in photography. We offer modular learning platforms for all photo enthusiasts. The classic modules include the Basic Digital Photography Workshop, Digital Post-processing Workshop along with a variety of specialty workshops like Macro Photography, Studio Photography etc. We are on Facebook and out Instagram handle is photolearninghub. Great information, Shridhar. What is double exposure? Great tips. Will certainly try. Thanks a lot.